A long time ago, in a warehouse in Van Nuys, a legacy emerged in the midst of the Cold War. George Lucas generously blessed the world with the gift of Star Wars, an epic space opera that would rock the world in 1977 to this day. Star Wars, to many, is just simply a good movie. To others, it is a lifestyle, which is why on May 4th, now recognized as Star Wars Day, it will be a day of celebration- no matter what side of the Force you’re on. Star Wars has been a major impact on popular culture and American life in general ever since its release. From John William’s legendary soundtracks, Darth Vader’s breathing, Princess Leia’s costume in Jabba’s palace in Return of the Jedi, to the question of whether or not Han shot first, (it was Han, by the way), it has inspired many different mediums of expression. It has left its mark on society so much that it is still today being enjoyed, with new additions for new generations to come. 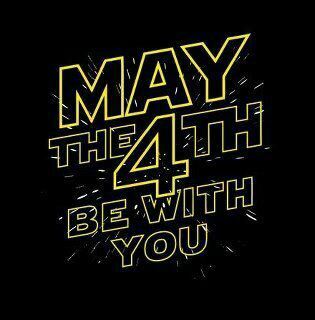 So, on May 4th, get out your lightsabers and Yoda figures (we know you have them) and celebrate! Don’t pay any mind to taunts of “geek” or even “nerd”; today is a day where it is okay, an honor, even, to adorn yourself with that title. It’s also Free Comic Book Day, so live it up! Embrace your inner Jedi (or Sith Lord) and have fun- and may the Fourth be with you.